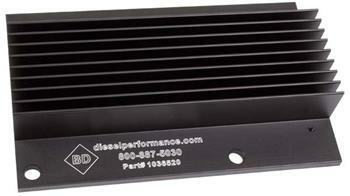 Improve Injection Pump Reliability with this Simple Mod! One of the most common failures with the DS4 pump on 1994-2000 Chevy 6.5 liter diesel engine applicaitions is the Pump Mounted Driver (PMD), located on the side of the pump. 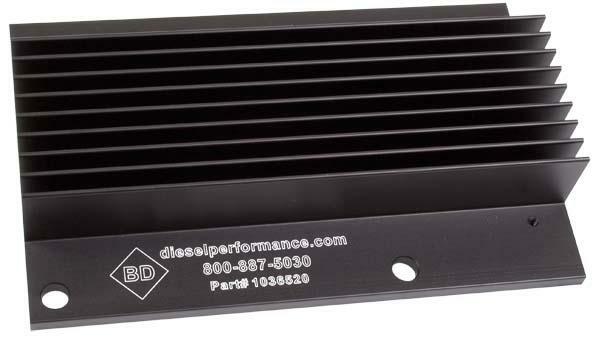 BD’s PMD Relocation Kit moves the PMD away from this area of potential heat build-up and mounts in on an extruded aluminum base to provide better heat sinking. Easy installation, plus improved access for future diagnostics and/or repair. and the original PMD is being left on the pump then the color of the new PMD must match the original unit (Black or Grey) as the connector on the harness attached to the pump differ with the PMD ’s. Also, a new calibration resistor will be required. We offer both PMD ’s with calibration resistors already installed.